My father bought the Centre Theatre, 772 Dundas St. W., in 1954 and ran it until it's closing in 1975 when I took it over as a repertory house for two years. It was built in the 20's under the original name, The Duchess. It was only a few doors away from Ed Mirvish's original store with his wife. Currently the building is a furniture store. 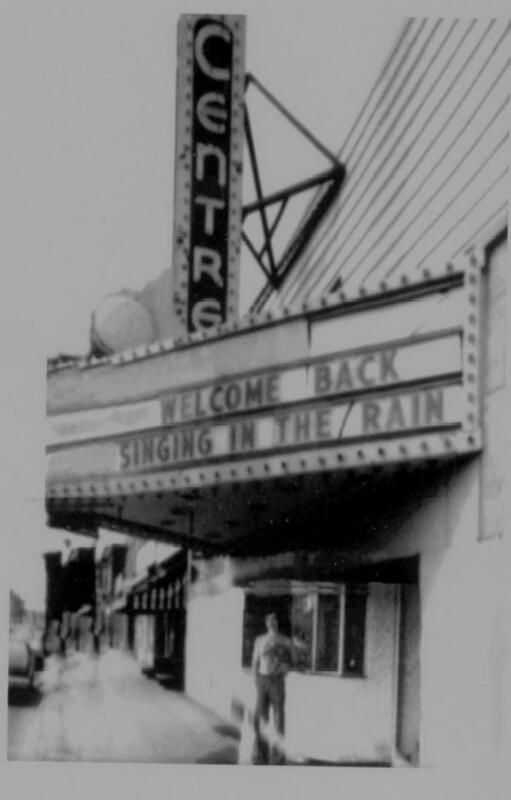 The theatre was purchased from a Mr. Stern in the 50's and ran it as a neighbourhood theatre. It wasn't part of a chain but it was advertised under the "Allied Theatres" banner with special Foto Night promotions. It had an old Manley popcorn maker and held approximately 465 people. The above photo was taken of me and the marquee in 1977 by a photographer for a Toronto Life story. The Centre Theatre in the 50's and 60's was known for triple bills catering to the immigrants. Costume pictures like Ben Hur and other Cecil B. De Mille's were favourites there with line ups around the block. In the 70's it played an eclectic mix (Fellini with Marx Bros.) and catered to students with a .99 cent admission price.